Nabugabo wetland was designated as a Ramsar site in 2004. This followed inventories of biodiversity that highlighted that the wetland and associated network of lakes constituted the highest biodiversity rich area in L. Victoria basin. This included endemic fish species, endemic plant species, carnivorous plants, high richness of birds including globally threatened species and a key migration stopover. The wetland was also identified as an Important Bird Area (IBA) in 2007 and now recognized as a Key Biodiversity Area (KBA). 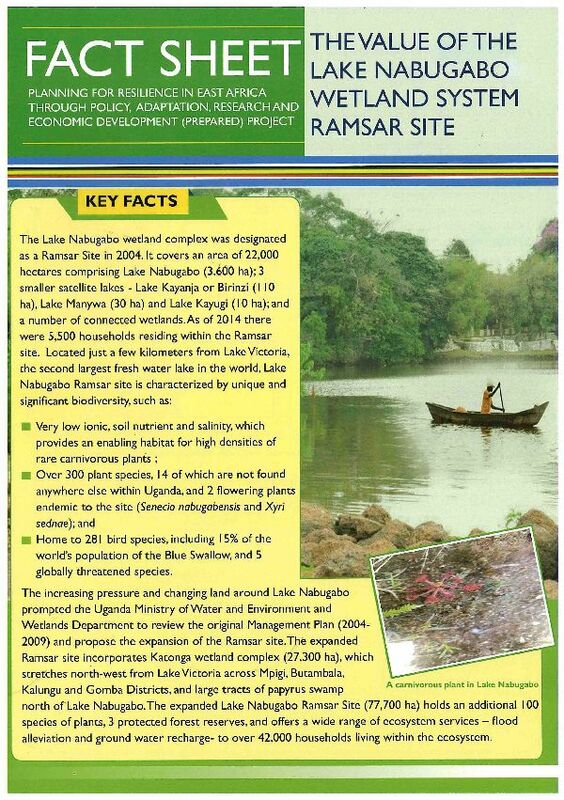 The prioritization of Lake Nabugabo Ramsar site by PREPARED was informed by a number of studies and the review of available literature. 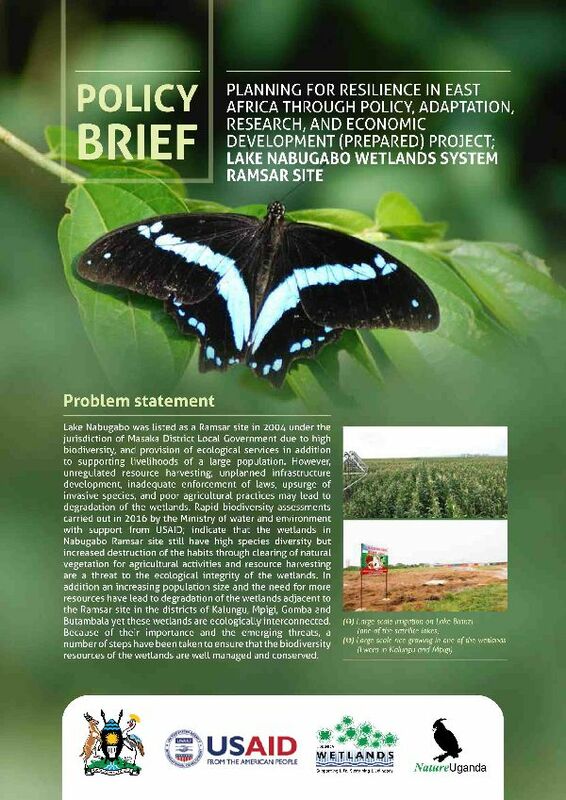 For instance An Ecosystem Profile Assessment (EPA) was undertaken in 2015 by USAID in the Lake Victoria Basin (LVB) to provide a broad overview of biodiversity values, the causes of biodiversity loss, and current conservation investments and through this study, Lake Nabugabo Ramsar site was listed as a Biologically Significant Area (BSA). In 2016, USAID through PREPARED project availed funds to review the Management Plan for the Ramsar Site and where possible extend the boundaries to cover the identified BSA. 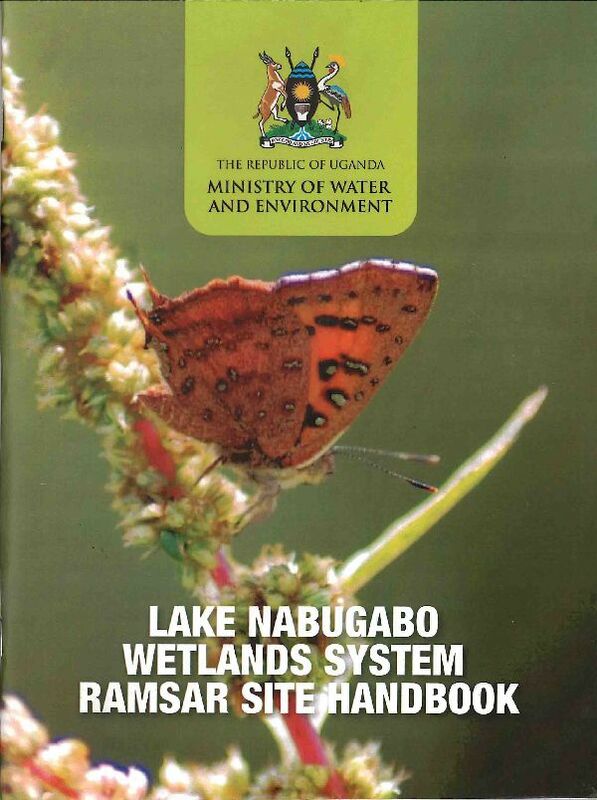 Consequently, NatureUganda was contracted to support Ministry of Water and Environment to undertake a one year process to review information, carryout new biodiversity inventories and revise the L. Nabugabo Ramsar site Management Plan. 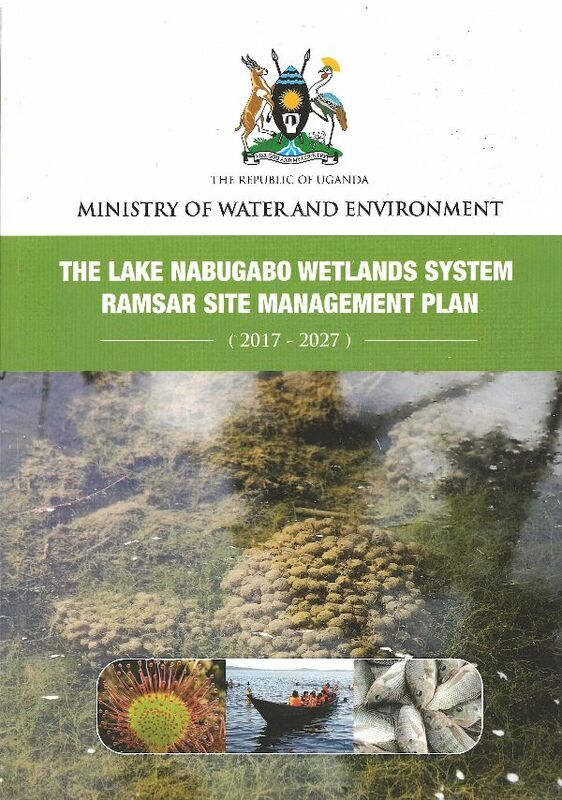 The result was the extension of the area from 22,000ha to 77,700ha and a new L. Nabugabo Wetland System Ramsar Site Management Plan was developed. A Popular Version (summary) of the Management Plan was also developed. Also launched together with the Management Plan was an Information Handbook that will be used to increase investment in the area including tourism development.